Instagram is on a new high by opening its new revenue stream. 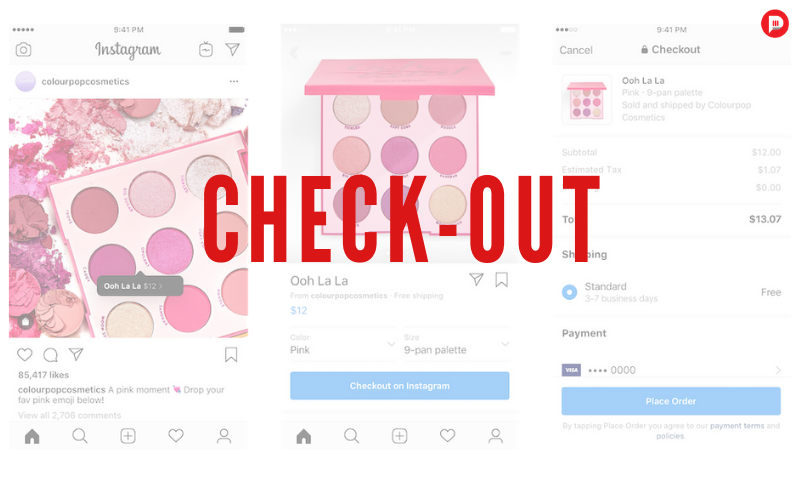 Instagrams product tags on shopping posts not only gives an urge to buy but now lets you Buy them with the new big blue button “Checkout with Instagram” feature. You can now shop without leaving the app, all thanks to stored payment info. This feature launched on Tuesday in the United States with more than 20 top brands, including Zara, Adidas, Nike, H&M, Micheal Kors, MAC Cosmetics, Warby Parker, and many more to be named. All you have to do is, simply tap the eligible product on the post you want to shop for and provide your email address so that seller can complete your order. From there, you enter your shipping details, billing, and card info within the app. After you review your products you can conveniently place your order. As a matter of fact, you’ll even be able to track and receive notifications about shipments and deliveries. According to the press release, all your information is saved securely so you don’t have to re-enter your details for other purchases. Instagram, which did not specify any financial details of its partnership said it would introduce a selling fee to help fund transaction-related expenses. This whole new Instagram feature is a big new business for the parent company Facebook. Facebook’s track record on privacy was a bigger issue last year. The world’s largest social networking website is under tremendous pressure to improve its handling of data following a number of controversies, related to user privacy. But for now, payment information stored on Facebook will only be used for Instagram. Facebook says it won’t share your payment information with other users or with retailers. So ease out, your data is secured! Instagram believes shopping represents vast new opportunities. Checkout is just one part of their long-term investment in shopping. Instagram’s ad business could also get a boost as Checkout could convince brands that the social network produces a better return on investment because now there are only fewer steps before you purchase. This new feature is dangerously genius because spending all your money just got so much more convenient. And little shopping won’t do any harm and feel pretty damn good of buying one. So rush Checkout now! Next Article 6 Important SEO Trends of 2019 You Need to Know!